A little getaway to the cities is a great way to reset and come back to your work inspired. Working in the creative industry has its advantageous, but at times, finding inspiration can be hard. In April, we went to Minneapolis to celebrate our second birthday (whoop, whoop), listen to some great speakers at LAB MPLS, and relax. We can say we definitely came back inspired with the realization that even the greatest creatives get in a funk sometimes and need a break. This is our official recap + guide on places to eat, shop, and visit in Minneapolis. We started our trip to Minneapolis with of course, Starbucks. Caramel Macchiatos and donuts were a must. With our fuel in hand, we made the trek to the cities. Fast-forward four hours later and we have arrived. Well, sort of. A parking spot was the only thing between us and the event. With the parking issue solved, we made our way up five flights of stairs ready to listen to inspiring speakers, network, and shop. 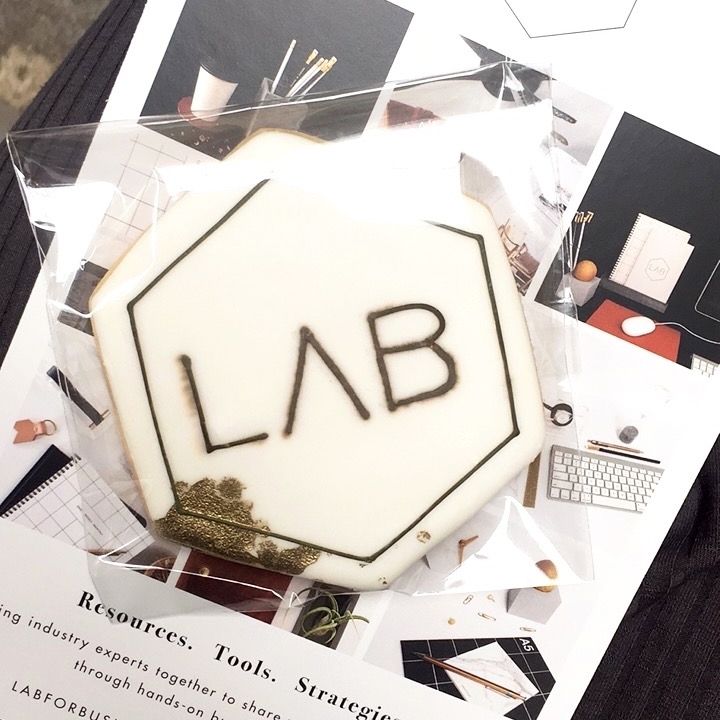 LAB MPLS is a collaboration and networking company where people attend workshops on curating content, business help, and so much more. Everything they do is thoughtfully created and so dreamy! When we first walked in, there were stunning balloon displays from @GirlFridayCreative! Naturally, every other piece was going to be on-point and swoon-worthy. From the décor, cookies almost-too-pretty-to-eat, and a coffee cart, this was bound to be an impressive event. (That’s not even mentioning the panel of speakers). P.S. We will be sharing useful creative and business tips from the event in a future blog post. Stay tuned. Next up, food. A girl has got to eat. After the speaking session, we made our way to Broder's Pasta Bar to indulge in carbs, carbs, and more carbs. Hey, listening can be a lot of work. ;) Let’s just say the pistachio cheesecake and TAGLIARINI DI LOCANDA DEL LUPO were worth the extra calories. We then checked into our room, lounged around, and spent a night out on the town. After a few too many lemon drop shots, 112 Eatery and Lyft were our best friends Saturday night. No explanation needed. And just like that, the first day of our mini-vaycay was over. Sunday’s call for brunch and shopping. A lot of shopping that is. 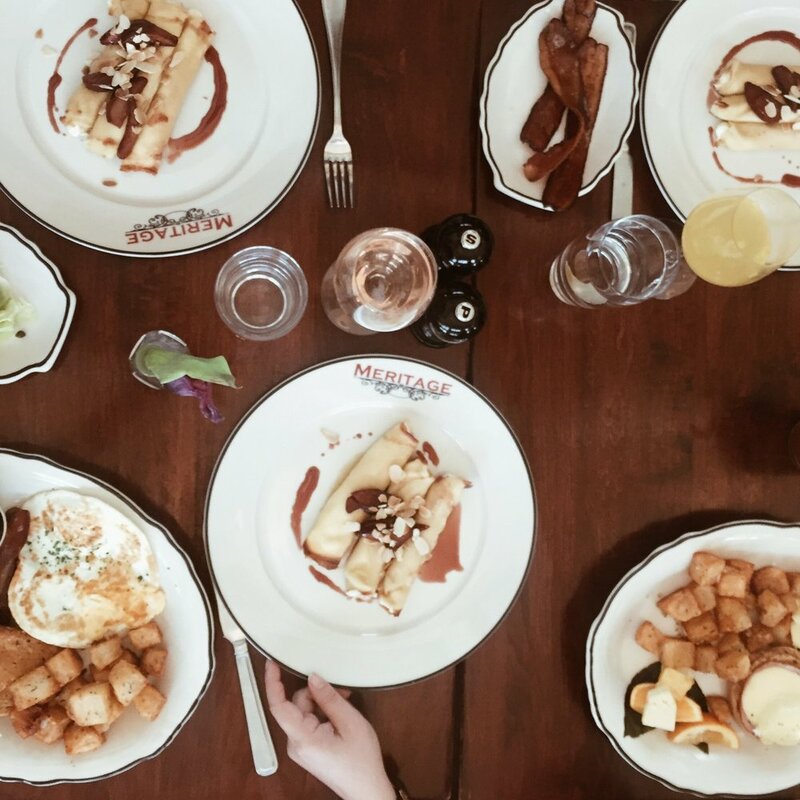 We started our morning with breakfast at Meritage. If you want to feel as if you are in Paris this place is it, 10/10 all around. With freshly squeezed orange juice, the best brunch food, and the prettiest (Instagram-worthy) tile, this gem topped our favorites list. Next, we hit the malls. That’s right, multiple. With the shops on Nicollet in Edina to the Mall of America, there was something for everyone’s closet. However, the Lush shop, by far, was the favorite. Another quick coffee trip and dinner was calling our names at St. Dinette’s. The interior + cheese burgers w/ pork belly were definitely the best – hands down. After more talking, it was time for bed. Shopping wears a girl out! Finally, our last morning in the city had arrived. We patronized The Copper Hen and Glam Doll Donuts. The Copper Hen is yet, another quaint, homey restaurant with farm-fresh ingredients. Glam Doll Donuts has the trendiest and tastiest donuts. Whether you are looking for something that imitates a fried egg or a list of crazy flavors (peanut butter w/ Sriracha sauce?!) Glam Doll Donuts has it all. With our donuts buckled down, we were ready to go back home. Our team concurs, Minneapolis was a brilliant idea and a much-welcomed getaway. Now, we are back (and still dreaming of donuts), refreshed + armed with a plethora of ideas. Here is to year three of curating content and connecting. Cheers!